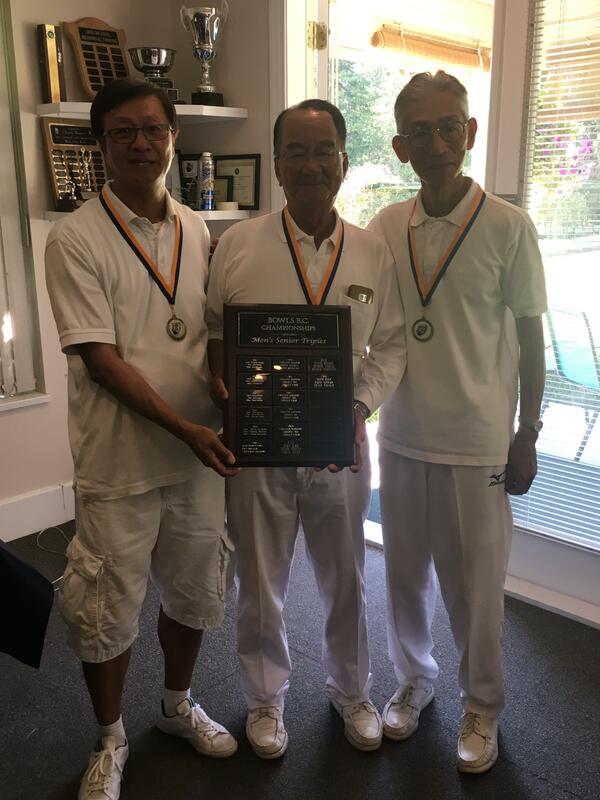 West Vancouver LBC was the host to a fantastic week of Bowls, as the BC Senior Championships was held during a great stretch of weather on the North Shore. Always a great host WVLBC made the players feel welcome as Teams from around the Province made their way to play 2 bowls triples and earn their way to Calgary, AB for the Canadian Championship later this summer. The Women would get off to a great start as Round Robin play started. They would play 5 games in some intensive heat to reduce the field to 8 in the playoffs for the knockout stage. Making their way through the field was Lynn Coules and her teammates who continued to knock off some great Teams. But looming on the other side of the bracket would be Mary Wright who was working on another Gold Medal to be consistent with one each year since 2008. 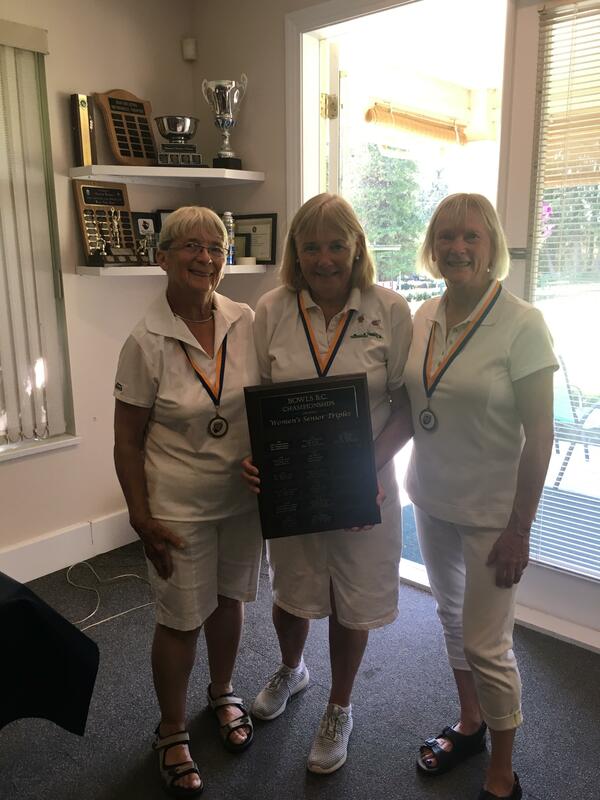 In the end the reunited Team of Mary Wright, Annie Mathie and Ann Van Bastelaere would eventually take home the Gold Medal, displaying some great shot making in the finals. Adding to her collection of medals was skip Jenny Siu who would win the Bronze medal and hit the podium. The Men’s section had some great Teams participating as well as they to would have 5 round robin games and head to the knockout stages for the playoffs. Stephen Yung who has had a great season starting withe the BC vs Alberta challenge, continued his strong play with teammates, Stanley Chow and Clement Law. The would eventually take the final in a close game against Gary Kirk’s team out of Richmond. These teams are no strangers to each other as they have played many times already this season and are very familiar as most are members from the RLBC. The Team of Dave Baldwin, Graham Reynolds and Alex Abraham would win the Bronze. A special thanks to all the Umpires who helped during the competition and to the West Vancouver LBC for all their hard work and great food throughout the event.